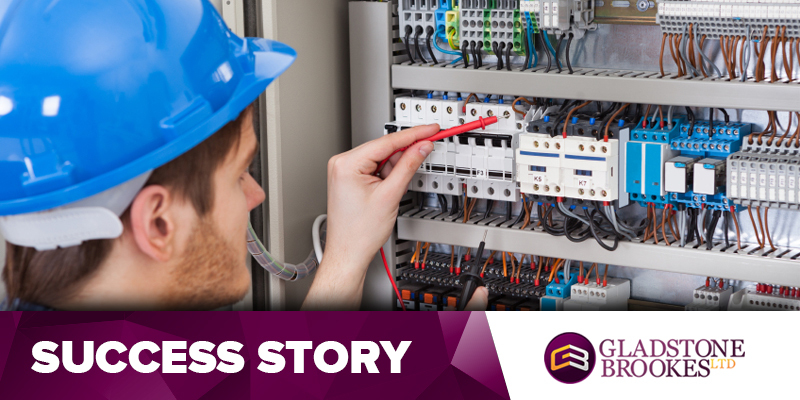 Service engineer Mark Lewington knew he had PPI attached to his Barclays loan, but hadn’t bothered to make a claim until he saw the Gladstone Brookes advert on TV. Sales manager Mr Stojsavljevic knew he had PPI on some of his agreements, but wasn’t sure about others so when he saw the Gladstone Brookes advert on TV he decided to ask for help in finding out. 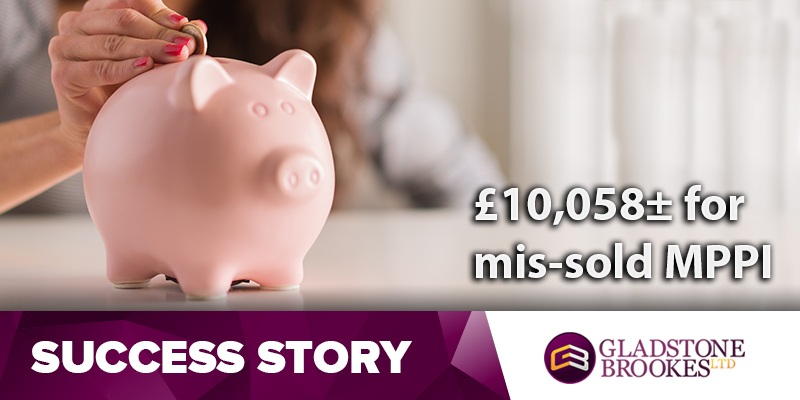 Administator Miss Simpson couldn’t believe it when she got £10,058.70± back for a mortgage payment protection claim through Gladstone Brookes. Pensioner William Batchelor came to Gladstone Brookes for help in reclaiming some possible PPI he thought he might have had on several agreements. 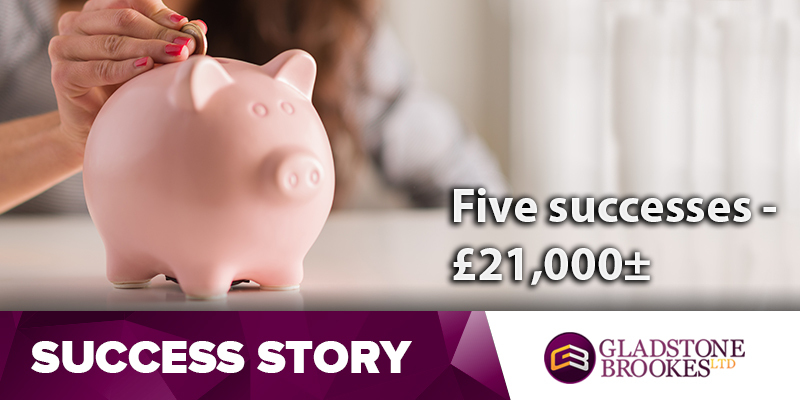 SUCCESS STORY – £36,000±? I didn’t expect that at all! Carer Christine Langley wasn’t sure whether or not to make a claim for PPI which she may have been mis-sold on her HSBC loans. Five successful claims against Lloyds Bank and MBNA have netted former production manager John Morton just over £21,000± – and there’s the possibility of still more to come for him and wife Maureen. Chris North knew he had PPI attached to his credit cards, but while he was working he just didn’t have the time to make a claim. 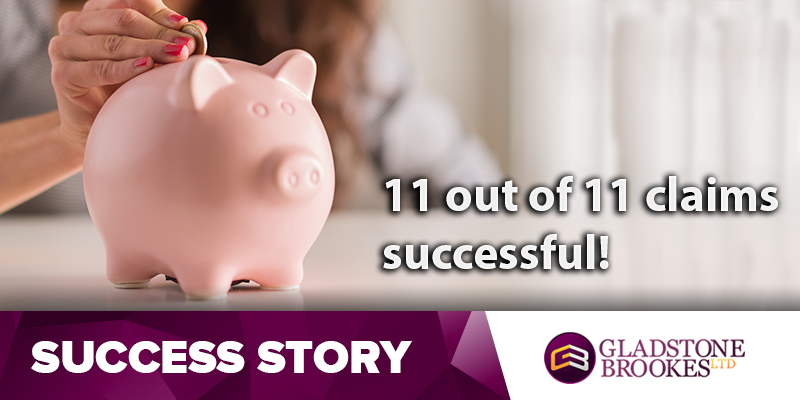 When retired manager Julian Perkins saw the Gladstone Brookes advert on TV it sparked his curiosity about whether or not he had ever been mis-sold PPI. Teresa and Gary Willis had been meaning to investigate a possible PPI claim for a long time, but never got round to it. 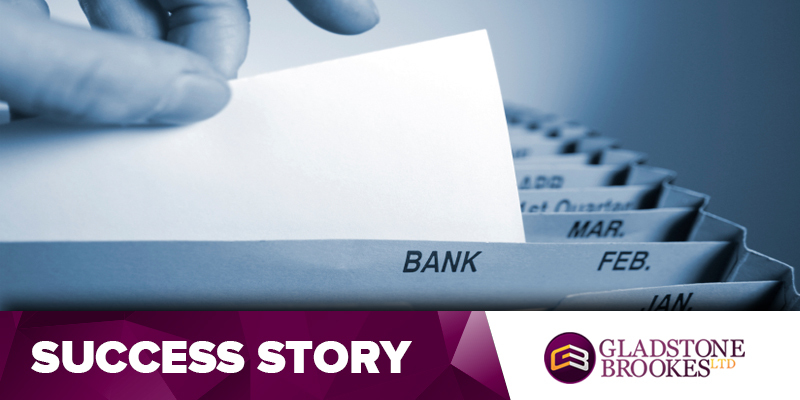 When retired RAF nurse John Millard first contacted Gladstone Brookes it was because he had seen a TV advert back in 2011 and he thought he might have had some PPI mis-sold to him on a loan and a credit card from Lloyds.